The History of school music groups in the United States is rich in tradition and success stories. For example, there are approximately 13,600 high schools with bands in the United States today, yet only a small percentage of groups have their origins documented. Given some of the things I’ve discovered about my own high school orchestra and music program, the above really rings true. 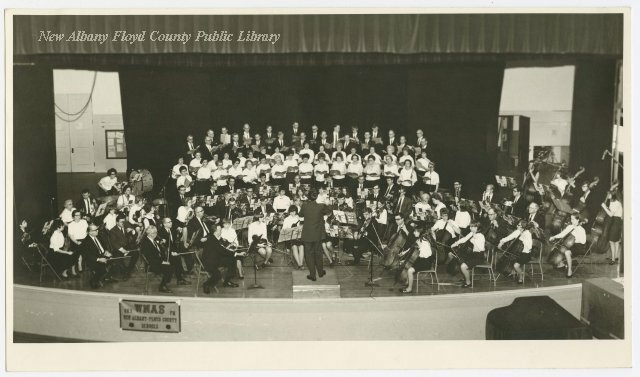 Rubin Sher is credited with starting the string program in Floyd County back in 1963–and had he not done that, I probably wouldn’t be in a position to be writing about this. When my family first moved to New Albany from Montana, I started playing violin during one of the summer string programs that Mr. Sher founded. By then next summer I would have switched to cello and had been playing in the school orchestra in the first grade. This is a stark contrast to how the string program is currently run given all the funding cuts. Currently, after the recent elimination of a number of grade schools and the moving of fifth graders into the middle schools, the only string programs that exist are at that middle school level (previously, kids could start playing a stringed instrument in the grade schools in the fourth grade). So when I started playing music in this school system, there were string orchestras in the grade schools and kids generally started in the third grade while kids who have started privately (or through the summer string programs) could be in the orchestras even earlier. By the time I moved back to the area, school string instruction began in the fourth grade and now starts in the fifth as we all face budget cuts. I still have a program from my first concert as a cellist during that summer string program. It took place in the New Albany High School gymnasium with roughly 600 string students. Several weeks ago I’d read a piece from a 1961 Music Educators Journal by Esther Goetz Gilliland, “Fond Memories of Two Hoosier Pioneers,” which recollects Gilliland’s early music education in New Albany and the two educators (David Ridgeway Gebhart and Anton H. Embs) that shaped it. The piece is a bit ambiguous but it seems that New Albany High School had an orchestra dating at least to 1906. 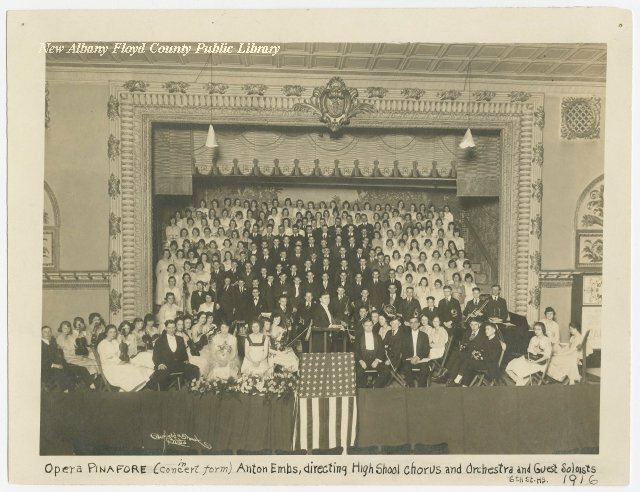 In the Fall of 1906, Anton H. Embs, who had been a private piano pupil of J.B. Leslie (predeccessor of Gebhart as music supervisor) was appointed supervisor of music in the New Albany public schools, and immediately organized the first high school orchestra. From a humble beginning with only five pieces (violin, clarinet, two cornets and piano) the organization grew year by year. So, a question is–did Embs “take over” the orchestra, or did he start it from a “humble beginning?” Also, when did the orchestra and string program end, since we know that it was re-started by Mr. Sher in 1963? Books by Edward Baily Birge, Richard J. Colwell, James A. Keene, and others provide an outline of the growth of instrumental music in the public schools. For instance, Keene tells us that, prior to 1900, public school instrumental music instruction took place in Wichita, Kansas; Chelsea, Massachussetts; Edinburg, Pennsylvania; Hartford Connecticut; and New Albany and Sullivan, Indiana. So was there a school orchestra prior to 1900 at New Albany High as the photo caption implies? Or was it simply instruction without [orchestra] performance opportunities (e.g. chamber music or solo instrumental recitals)? As I’m starting to understand the early evolution of public education in the US and the switch from the private schools that were the primary institutions, I’m also coming across other intriguing bits of history. For example, one of my searches led me to the Anderson Seminary for Girls (founded in 1843) and the Anderson High School for Boys (founded in 1840) by John Anderson after his move to New Albany. Info about curricula lists music instruction tuition fees. This genealogical site lists a Cornelia Ayres Shields as having graduated from the Anderson Seminary (for Girls) as a Music Graduate in 1904. Did either of these private institutions have an orchestras or give public performances? While I’ve been focusing on the school music programs, this isn’t to say that’s all there is to say about Orchestras and Classical Music in New Albany. 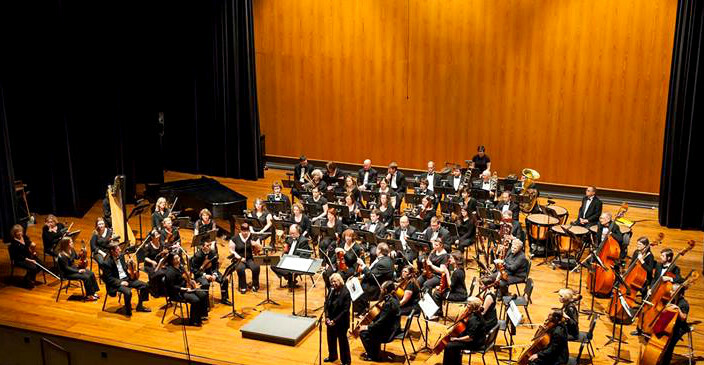 Many of us know about the Southern Indiana Orchestra (founded by Rubin Sher and Don McMahel) which existed from 1966 to 1981 and the IU Southeast Orchestra (founded by Wil Greckel ca 1967) which is a as much a community orchestra as an educational organization. The former was based in New Albany and had its rehearsals and many concerts at New Albany High School. The latter is a group I currently play with and had played with in the past while in High School (and before the Ogle Center was built) when it was known as the IUS Chamber Orchestra. 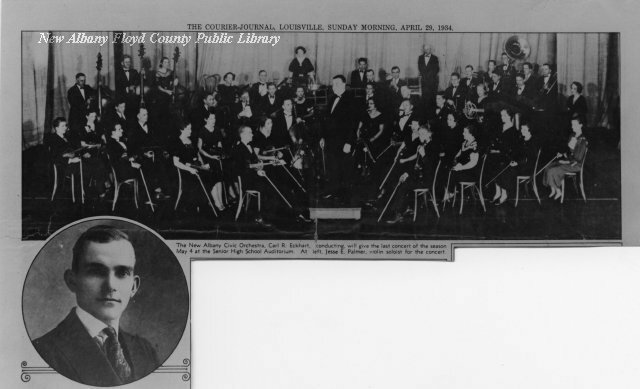 Most of us don’t know about the New Albany Civic Orchestra which existed from 1932 to 1939. Or the Summer Opera Company (formed in 1907) which performed Light Opera fare (e.g. Gilbert & Sullivan) in Glenwood Park. While the largest Classical Music institutions get the lion’s share of discussion, it might be useful to understand how smaller communities and educational communities have contributed to the evolution of Classical Music and the audiences and resources which don’t necessarily overlap with the former. We can also see how even in music instruction waxes and wanes and that we barely understand the causes since we don’t necessarily chart the history of all the smaller organizations that inevitably form some of the bedrock of communities’ exposure to the art form. I’m actually just as excited about learning and studying this as I am about the “bigger” issues surrounding Classical Music and I look forward to posting more about it. Thanks, Gregg! I’ll make sure to include them!